Unusual as it sounds, the husband pillow is a versatile piece of bedding that can seriously increase your comfort. Despite the name, husband pillows actually have very little resemblance to a human spouse. In fact, it’s worth everyone’s while knowing how to choose the best husband pillows in 2019. Many people will not have heard of a husband pillow, and may have no idea what one actually is. In this article, we’ll explain everything you need to know about husband pillows and how they are used. We’ll let you in on some savvy insider tips and tricks for choosing the very best husband pillows for your bedroom. Even better, our experts have worked tirelessly to discover and review the very best husband pillows on the market in 2019 to give you plenty of shopping inspiration. So, what exactly is a husband pillow? How do you choose the best one for your needs? Read on to find out! If you’re itching to discover more pillows then check the articles below. What is a husband pillow for? Husband pillows are designed to prop you up in bed. Many pregnant and nursing women use husband pillows to sit up in bed comfortably and for support during night time feeds. However, husband pillows can be a useful and comfortable choice for anyone. 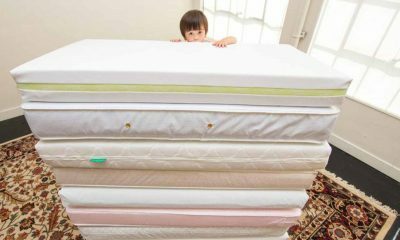 They’re a comfortable and portable way to make your bed more multi-functional. 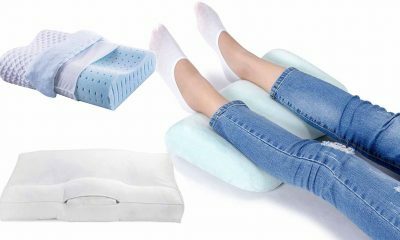 Apart from its obvious uses during pregnancy and nursing, this type of pillow is ideal for providing support when you’re sitting up in bed to read a book, watch television or carry out any other activity requiring you to sit up in bed. Essentially, it does the job of supporting your back like a chair from the comfort of your bed. It can also help to pad out a hard or uncomfortable headboard and won’t slip down behind you like regular pillows. Husband pillows can be particularly useful for people who are likely to be in bed for long periods of time. For example, seniors, sick and convalescing people may find that a husband pillow is the best type of large bedrest pillow for their needs. It means that the person is able to carry out activities that are more comfortable in a seated position and can provide a cheaper alternative to an adjustable bed frame, especially if the person is only on short-term bed rest. Another use of a husband bed pillow is as a portable back support. There’s no reason that this type of pillow has to be used in bed. Many people find that a husband bed rest pillow is a great way to get extra comfort and support while sitting in a chair, on a couch or even on the floor. They can also be useful as an aid for babies who are beginning to learn to sit up independently. How is a husband pillow constructed? A husband pillow looks like a backrest. 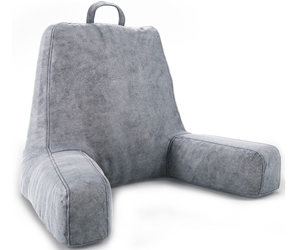 It contains a lot of padding for comfort and support and usually incorporates armrests. It isn’t designed to be slept on- instead, it cradles your back while you sit upright in bed. Because it’s designed as a back support and not to be slept on, a husband pillow contains much firmer padding than a regular head pillow. However, it should still feel comfortable to snuggle up against. 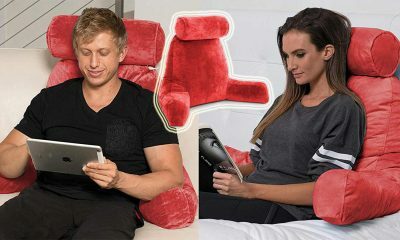 Some husband pillow designers have added extra bells and whistles to their products to create a more luxurious product. Nowadays, you can purchase husband pillows with headrests, pockets and even cup holders. It’s not unheard of for the most plush models to include hi-tech touches such as massage settings. Why the name ‘husband pillow’? Husband pillows earnt their nickname from their original use as pregnancy and nursing pillows. Many women found they provided a similar sensation to leaning backwards against the body of a husband. However, despite the name, husband pillows are designed to be comforting and supportive for everyone. It’s important to remember that they are distinctly different to maternity pillows, which are designed for pregnant women to sleep with. If you see a product described as a bed rest pillow or a bed rest lounger, you can be pretty sure that what you’re actually getting is a husband pillow. However, reading pillows and boyfriend pillows may turn out to be a significantly different product. It’s important to check out the specifications before you buy to make sure that you are definitely purchasing a husband pillow. Husband pillows and wedge pillows are often both referred to as ‘reading pillows’. However, they are distinctly different products. A husband pillow is designed to work as an extra-large backrest pillow and is not really intended to be slept on. It supports the whole of your back, sides and arms. 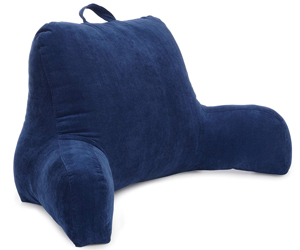 A wedge pillow is shaped like a doorstop and is not designed to prop you up fully as if you were sitting in a chair. Instead, they provide a slight elevation which can make reading in bed easier. They are often used for sleeping when the person requires their head to be slightly raised, for example if they snore or suffer from night-time acid reflux. To the uninitiated, it may seem reasonable to assume that a husband pillow and a boyfriend pillow are one and the same. It’s true that husband pillows are sometimes referred to as boyfriend pillows informally. However, many so-called ‘boyfriend’ pillows are actually novelty products shaped like a man’s torso and arm. They are designed to mimic the feeling of snuggling up to a boyfriend in bed. If you’re trying to find the best bed rest pillow, it’s important to know what to look for to make sure you’re getting the best product for your money. What makes the ideal husband pillow varies from person to person depending on their individual needs. The whole purpose of a husband pillow is to provide you with support. It’s not designed to be very soft like a pillow you might use for sleeping. 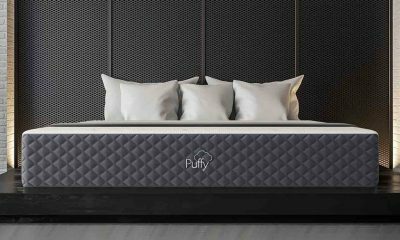 Therefore, you should look for a product that’s made of high-density foam or padding that will be supportive enough for your back while you sit up in bed. It’s important to check that your chosen husband pillow is easy to clean and has a cover that can be removed. Many models are designed to make them easy to spot-clean. Ideally, select a product where the manufacturer sells additional covers separately. That way, you can simply buy a new cover if your current one becomes too stained without having to buy a whole new pillow. 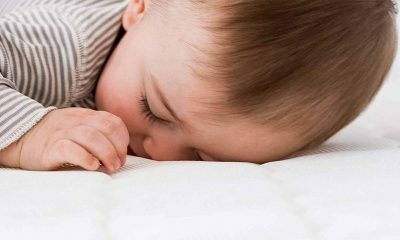 Many people find that their allergies can be triggered by some of the materials used in bedding such as pillows. If you routinely suffer with night time allergies, it’s especially important to check that your husband pillow is made from non-allergenic materials so it doesn’t trigger any unpleasant symptoms. 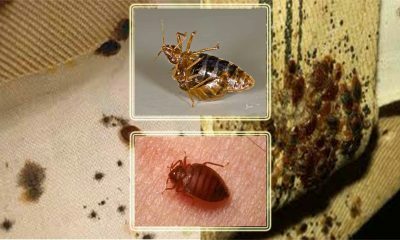 Bedding manufactured in the USA has to follow various stipulations that ensure they are safe for use and free from any materials that could seriously harm human health. If you buy a product from outside the USA, although it may be considerably cheaper, it cannot be guaranteed to be safe for use. 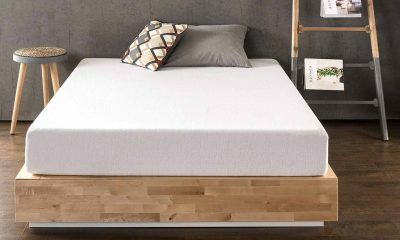 Therefore, you should aim to purchase bedding products from either the USA or Canada, which has similarly stringent rules. How do I buy the right husband pillow? It’s important to establish how you will be using your husband pillow and whether you have any special requirements. 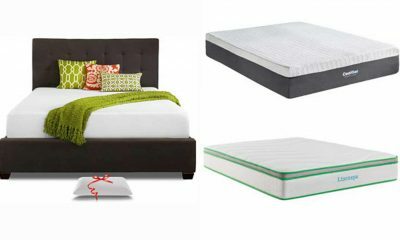 This will help you choose a pillow that suits your needs best. For some people, this may mean selecting a pillow that has some added extras. For example, if you are hoping to use your pillow for watching movies, you may decide to opt for one with a built-in cup holder. It’s important to work out how much you’re willing to spend on a husband pillow so you can focus on products in your price range. Some husband pillows come in with heftier price tags, often because they come with added bells and whistles. However, it’s perfectly possible to buy a quality product that does the job of supporting your back on quite a limited budget. Although manufacturers are always keen to tout the selling points of their products, it’s important to check out both expert and user reviews to see if the pillow measures up to the claims. This will give you a more honest idea about several key points of the product, such as whether it is comfortable and how long you can expect it to last with normal use. This is especially important if you are planning to purchase your husband pillow online, as you won’t have the opportunity to test it out in-store. 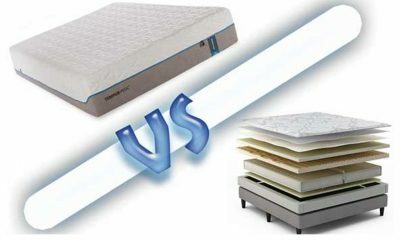 Many people are nervous about purchasing products online, especially when it comes to bedding. This is understandable because you will be unable to test out the product first. However, there are some advantages to shopping for husband pillows online. Firstly, you’ll have access to a far wider range of products than you would in-store, and this gives you the opportunity to make comparisons to select the very best ones. 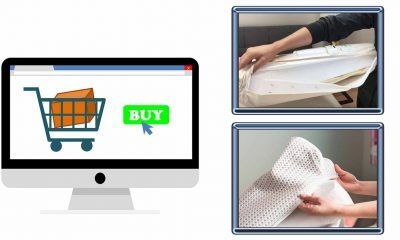 Bedding products can often be cheaper online, and you may find that a product is being sold for a reduced price on the internet in seasonal sales. If you want to try a product out in-store, that’s fine too. However, once you find a product you like, we recommend checking to see if you can buy the exact same product online for any cheaper before parting with any cash. Now that you know a little more about husband pillows and how to choose the right one for your needs, it’s time to find out which are the best products available on the market in 2019. We’ve been working hard to discover and review the best large husband pillow products out there to make shopping just that little bit easier. Here are the latest reviews of the 10 best husband pillows in 2019. Earning its spot right at the top of our list is this super-large and super-plush Husband Pillow. Why is this worthy of its number one place? When it comes to comfort, this is pretty hard to beat with its adaptable memory foam stuffing and plush outer cover. The dimensions of this pillow are extremely generous, making it a good fit for pretty much anyone and enveloping your whole upper body. Although we love the bold red hue, this product also comes in a range of colours, so you can select a husband pillow cover to blend seamlessly with the rest of your bedroom décor. Let’s take a look at the key features of the Husband Pillow in more detail. 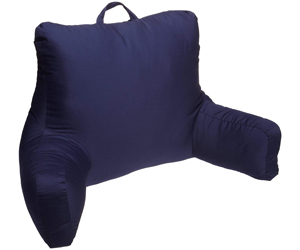 Detachable neck roll on bungee: The Husband Pillow comes with a cylindrical pillow designed to support your neck. You can adjust the height using the bungee attachment or remove it entirely if you prefer. This makes the Husband Pillow ideal for anyone with neck pain or strain or who feels like they need a little extra support. 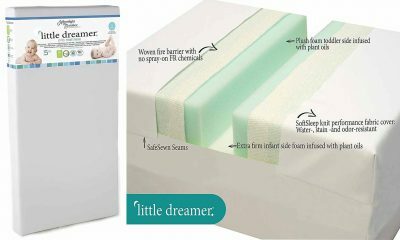 Adaptable foam filling: This pillow is filled with high-quality shredded memory foam. This material has the ability to adapt to the unique contours of your body for ultimate comfort. You can also unzip the pillow to remove unwanted foam or rearrange the filling to suit your own sense of comfort. Husband Pillow say that they will even supply extra memory foam if you prefer a firmer stuffing. Built-in side pocket: The Husband Pillow includes a built-in side pocket as standard. This is large enough to contain items such as magazines, remote controls and any other objects you may wish to keep to hand. Therefore, this model is ideal for people who want or need to access key items without needing to get up and fetch them. For those who love a little outlandish style in their bedroom, the Brentwood Shagalicious Bedrest may be an ideal choice. 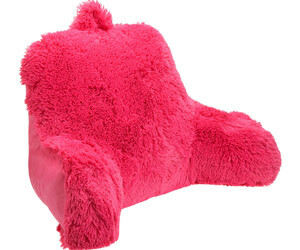 In 3 bright and bold colors, this husband pillow has a fake fur outer cover which is both fun and soft to the touch. This pillow is a little softer than some other options on this list, so may be suitable if you’re not looking for very firm support. It comes with no bells and whistles, but this is reflected in the extremely affordable price point. So, why do we love the Brentwood Shagalicious Bedrest husband pillow so much? Read on for our in-depth review. Easy cleaning: This husband pillow has an easy-to-clean cover which is designed to withstand spot cleaning using just a damp washcloth. This makes it simple to deal with minor spills and stains without the trouble of removing and machine-washing the entire cover. Simple to transport: The Brentwood Shagalicious Bedrest husband pillow comes with a built-in transportation handle. This makes it extremely portable so you can easily move it from place to place. It also makes it extremely suitable for taking on trips and vacations. 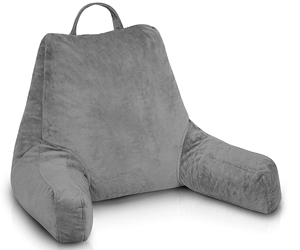 Good level of back support: Although it is softer than some other options, this husband pillow provides a great level of back support while you sit up in bed and read or watch TV. This makes it a very suitable option for people who suffer from back pain but don’t like the feeling of a very firm back rest. The Red Nomad Shredded Foam Reading Pillow is great for more than just reading. In fact, it’s ideal for watching TV, gaming or any other activity you may want to do whilst sitting up in bed. All the features of this husband pillow, from the adaptable foam filling to the super-soft cover, are designed to stay cool and help you maintain a neutral temperature. Therefore, it’s one of the best options for people who tend to find themselves overheating in bed. Let’s take a more in-depth look at why the Red Nomad Shredded Foam Reading Pillow is such a great option. 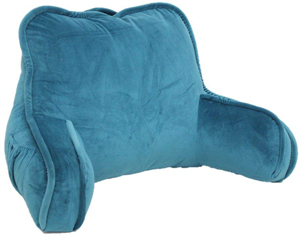 Plush, breathable cover: The cover of this husband pillow is made from velour that’s both cozy and durable. However, perhaps most importantly, the material is designed to be super-breathable. This means that body heat can easily escape while the pillow is in use. 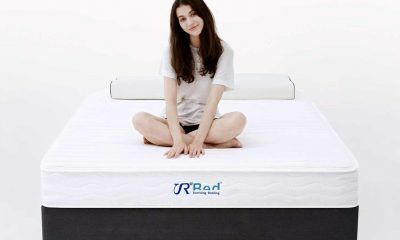 Therefore, it’s a great option for people who frequently struggle with uncomfortable overheating in bed. Moldable filling: This husband pillow is filled with soft foam pieces. These are easy to shift around manually inside the body of the pillow. Therefore, you can mold the inside of the pillow to get more support where you need it and to create a shape that’s uniquely comfortable to you. 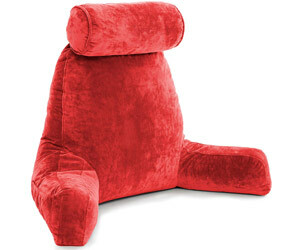 Handle for portability: The Red Nomad Shredded Foam Reading Pillow has a sewn-in handle at the top. This makes it easy to carry from place to place and take on trips away. The handle is designed to be highly durable so it shouldn’t come unstitched even with frequent use. Yet another fantastic option from popular pillow manufacturer Brentwood is their Originals 2136 Plush Bed Rest. Unlike their furry option, this pillow has a velour-look cover that’s cosy and soft to the touch. Like other Brentwood products, this pillow is a little plusher than many husband pillow products. Therefore, it’s a good choice if you want the functionality of a husband pillow but don’t enjoy very firm support. Let’s take a look at the Brentwood Originals 2136 Plush Bed Rest pillow in more detail. Easy to clean: The Brentwood Originals 2136 Plush Bed Rest has a cover which is intended to withstand occasional spot cleaning using only a wet cloth. This allows you to deal with small spills and stains without having to completely launder the pillow cover. Great portability: This comfortable husband pillow comes complete with a sewn-in portability handle. This makes it very simple to carry so you can easily move it from one place to another in your home. It also makes it highly convenient for taking on journeys and trips away. Good level of back support: Although it is plusher than many of the other models we’ve reviewed, the Brentwood Originals 2136 provides an adequate level of back support for most people’s needs while sitting up in bed. This makes it a good choice for people who require extra back support but don’t enjoy using a firm or very firm husband pillow. Fans of the well-known pillow manufacturer Brentwood may want to consider their 557 Corduroy Bedrest. The pillow comes in a very stylish range of colours in a trendy corduroy finish. Not quite as plush as some of their other options, it provides a slightly firmer level of support. Therefore, it’s a good choice for people who want the quality of the Brentwood brand but need something a little firmer. So, why do we love the Brentwood 557 Corduroy Bedrest so much? Read on to find out! 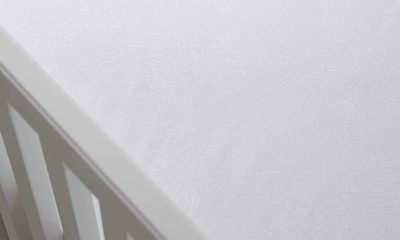 Simple cleaning: The Brentwood 557 Corduroy Bedrest has a durable cover which is quick and easy to spot-clean by simply using a dampened cloth. This makes it a doddle to handle any incidents of spilling or staining without having to put the entire cover through the wash.
Easy to transport: This super-comfy bedrest pillow includes a carry handle for convenient transportation. This makes it easy to move from room to room, so you can enjoy the support of this pillow in any location. It also makes it most suitable for taking on long journeys or vacations away. Great support: Another major positive of the Brentwood 557 Corduroy Bedrest is the great level of back support it offers. This makes it a great option for those who suffer from back pain or who have to spend long periods of time sitting up in bed for whatever reason. For those looking for a foam-filled and breathable husband pillow, the Linenspa Shredded Foam Reading Pillow may be just what the doctor ordered. This pillow is designed to be breathable and moldable to provide a great level of comfort whatever the temperature and whatever your needs. We love the stylish stone-colored velour cover on the pillow, and it would make an elegant addition to most bedroom interiors. 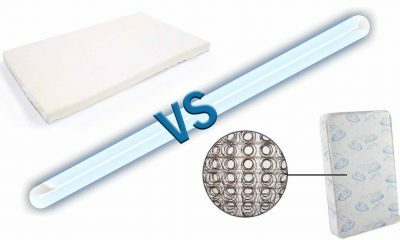 So, what makes the Linenspa Shredded Foam Reading Pillow stand out? Read on for our expert opinion. 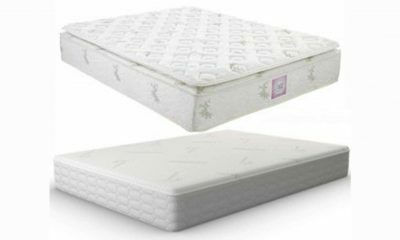 Highly breathable: The velour cover and gaps between the shredded foam padding are designed to provide maximum breathability. This means that any excess and unwanted body heat can easily escape from the pillow while it’s being used. Therefore, it’s a fantastic choice for anyone that often overheats in bed. 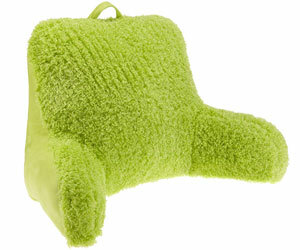 Moldable filling: The Linenspa Shredded Foam Reading Pillow is filled with small pieces of foam padding. This means that you can shift the distribution of the padding around easily to create a shape that feels comfortable for you. 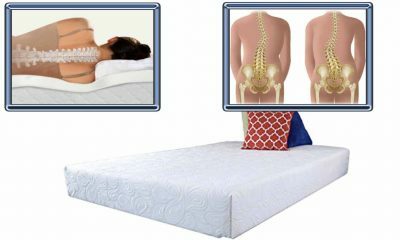 This is ideal if you suffer from back or joint pain and need support in specific areas. Easy to carry: This husband pillow comes complete with a handle to allow the user to move it from place to place with minimum fuss. 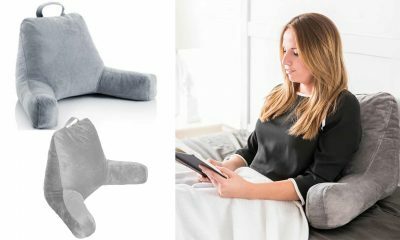 This makes it perfect for frequent travellers or those who are likely to use their pillow in various locations in their home. bsolutely love the stylish appeal of the Ziraki husband pillow, and it would make a gorgeous addition to any bedroom. The generous dimensions make it a good choice for larger adults or those who want the feeling of being enveloped by their pillow. The pillow is highly breathable, making it a superb option for people who suffer from overheating or who live in very hot climates. Let’s look at the details of the Ziraki husband pillow more closely. Breathable filling: This comfortable pillow is filled with small pieces of shredded foam. This means that there are air gaps in the stuffing, increasing the product’s overall breathability. 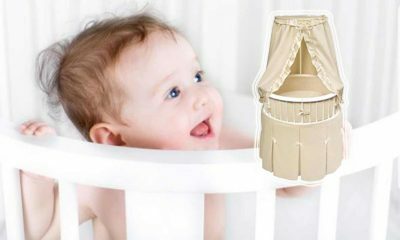 Therefore, any excess body heat can be wicked away, leaving the user at a cool and comfortable temperature. 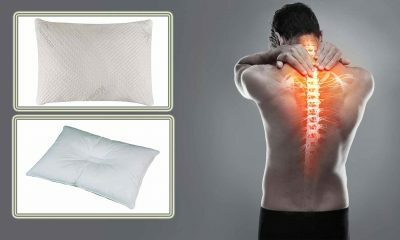 Great back support: The foam filling of this pillow gives a great level of support to the spine. Even better, you can manually redistribute the filling to personalize the shape of the pillow to your individual needs. This makes it a great choice for anyone with lower back pain. Portability: This Ziraki pillow includes a useful handle to let you easily shift it from place to place with no trouble whatsoever. This makes this husband pillow ideal for regular travellers or anybody who wants to use their pillow in more than one room in their house. 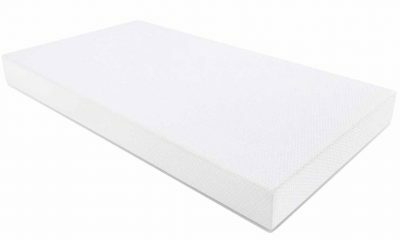 The ComfySure Bedrest provides great support for the lumbar region, back and arms. The manufacturers say that this product is especially suitable for pregnant and nursing mothers, but it is a great choice for absolutely anyone who needs extra comfort and support while sitting up reading or watching TV. 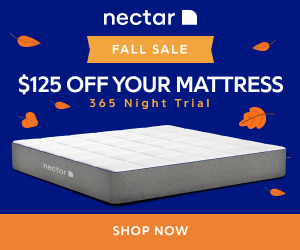 This pillow is stuffed with ultra-adaptable foam, making it a comfortable option for people who enjoy the contouring effect of memory foam mattresses or pillows. Let’s find out why our experts think the ComfySure bedrest husband pillow is such a great purchase. 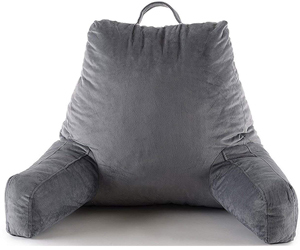 Adaptable filling: The filling of this comfortable husband pillow has the ability to adapt and mold to the unique curvature of your individual body. This helps the pillow to cradle you comfortably while providing individualized support for your back. Therefore, this is a top pick for anyone with back pain that needs a little extra support. Breathable cover: The plush outer cover of the ComfySure Bedrest pillow isn’t just stylish and oh-so-cosy. It’s also designed to be extremely breathable. This means that any unwanted and uncomfortable heat can easily escape while you relax, keeping you at a comfortable temperature throughout use. Machine-washable: Unlike many similar products, this pillow can be washed in a machine without any need to remove the cover. A gentle wash on the delicate cycle at a cold temperature is enough to take care of minor spills and stains and to freshen up the pillow after a lot of use. Yet another great offering from Brentwood is their Originals Brushed Twill Bedrest, with brushed twill fabric outer cover and polyester fiber stuffing. The finish of the fabric is both comfortable and long-lasting, and the pillow provides a great level of back support. This husband pillow is available in a range of 5 stylish colors, so it’s reasonably easy to find one that fits in with the color scheme of your bedroom. A reasonable price tag means that the luxury and comfort this pillow provides is affordable for most. Let’s check out the key specifications of the Brentwood Originals Brushed Twill Bedrest pillow. Durable cover: The cover of this husband pillow is made of hard-wearing brushed twill. 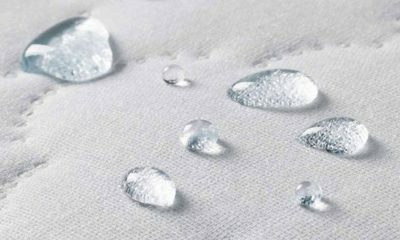 Not only is this fabric soft to the touch and comfortable, but it’s extremely durable and able to withstand regular, long-term use. Therefore, this is a great option if you expect to be using your pillow very often. Simple to clean: The Brentwood Originals Brushed Twill Bedrest Pillow has a fabric color that’s easy to keep clean. If a spill or stain occurs, simply wipe clean with a damp washcloth. Built-in fabric handle: This husband pillow includes a sewn-in transportation handle, making it easy to move from one comfy spot to another. This is great if you need to use your pillow in more than one location in your home. It also makes it an ideal companion for travellers and business commuters. Available in two fresh and fun colours, the Brentwood Poodle Bedrest is ideal for injecting a pop of color into your bedroom décor. The unusual fluffy cover is both eye-catching and soft and cozy to snuggle up to. This husband pillow has armrests to provide comfort and support, and may be especially helpful for pregnant and breastfeeding mothers. So, why do our experts recommend the Brentwood Poodle Bedrest? Easy to spot-clean: The Brentwood Poodle Bedrest has a cover specially designed to withstand spot-cleaning by simply wiping it down using a wettened cloth. This makes it extremely easy to remove the evidence of spills or stains without having to remove the cover. 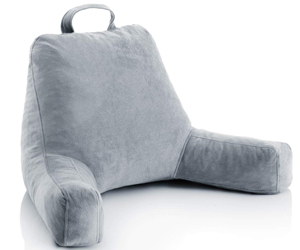 Easy to move: This supportive husband pillow includes a built-in handle for fuss-free carrying. This makes it a breeze to move from spot to spot, so you can use this pillow all over your house. It also makes it an ideal choice for taking on journeys away from home. Good back support: Another positive factor of the Brentwood Poodle Bedrest is the good amount of back support it gives users. This makes it a serious contender for anybody experiencing back pain or who has been confined to bed for a long period of time. Now you know what a husband pillow is and why it can be so useful, you’re ready to put some of our expert hints and tips into action to find the husband pillow of your dreams. Remember to check out expert and user reviews if you’re buying online to make sure that you’re getting the very best product possible for your money. Hopefully, our top 10 expert recommendations will give you plenty of inspiration to find the best husband pillow for your needs. Happy shopping!